"Men must look for the peace of Christ in the Kingdom of Christ"
When meditating on this mystery, remember that Jesus proclaiming the kingdom of God does so in His works and by His examples. In this mystery, light is shed on the glory of the Kingdom of Jesus Christ. Below you will find some verses that Pope John Paul II cited in his encyclical, Rosarium Mariae. The fruit of Proclaiming the Kingdom mystery is repentance and trust in God. Jesus forgives the humble who display faith in Him. The humble show sorrow for their sins. They also show love and hope. When speaking of the truths of Jesus, the Nicene Creed states the phrase, "of whose kingdom there shall be no end". This phrase points to the eternal kingship of Jesus. 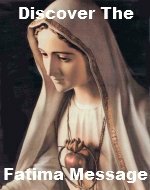 Here are some additional thoughts to enhance your meditation on Proclaiming the Kingdom rosary mystery. 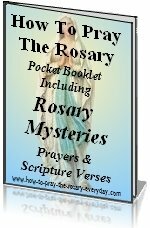 Return often to this page when you are praying this Luminous Mystery of the rosay - Proclaiming the Kingdom. "And Jesus looking round about, saith to his disciples: How hardly shall they that have riches, enter into the kingdom of God! And the disciples were astonished at his words. But Jesus again answering, saith to them: Children, how hard is it for them that trust in riches, to enter into the kingdom of God? Dear Lord, give me the courage to be a true follower of Christ, using the examples He gave when proclaiming the Kingdom of God, in both my private and public life. Help me to teach others about You wherever I go, whether it be through word or deed.